Did you know sunlight, which attacks the resins used in the composite construction, is one of the few things that can harm your HANS® device? 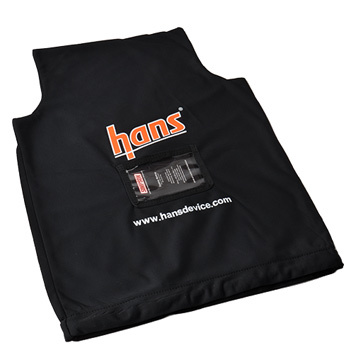 This lighweight HANS® bag protects your HANS® device from sunlight and scuffing. Pocket to insert business card or other ID. Get a Simpson HANS® bag to protect your investment in the finest safety gear.